An eBook is the short form of electronic book. 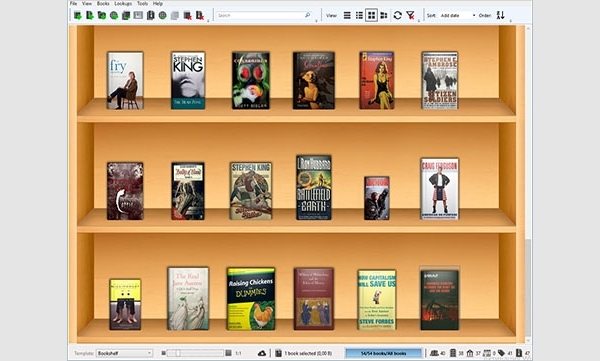 It is a soft digital version of books that has text and (or) images that can be read in computers and other smart devices. The increase in the number of the eBooks makes it tough to manage them or convert them in readable compatible form. EBook library management software can handle all the necessary requirements to manage, convert, edit and read eBooks conveniently. The software syncs the eBooks with the devices properly. This excellent eBook organizer allows the user to customize the digital library for a real feel, cataloguing books, tagging, update the versions, scan the metadata of the digital books and even allows viewing certain books in a 3D realistic model. The software also retrieves specific information about certain eBooks easily from web sources. 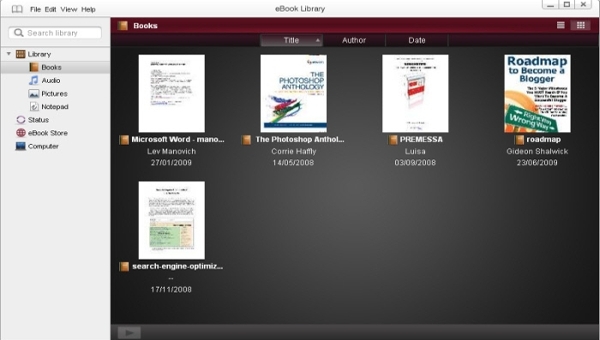 This software not only supports almost all types of files but also acts as a great organizer of eBooks. It also allows you to import audio and photo files and download books directly from the eBook store of Sony. In fact books can also be borrowed from the Sony library. The software supports Windows and Mac and demands low disk space. This software enables you to read eBooks conveniently, bookmark and manage huge volume of eBooks very efficiently. 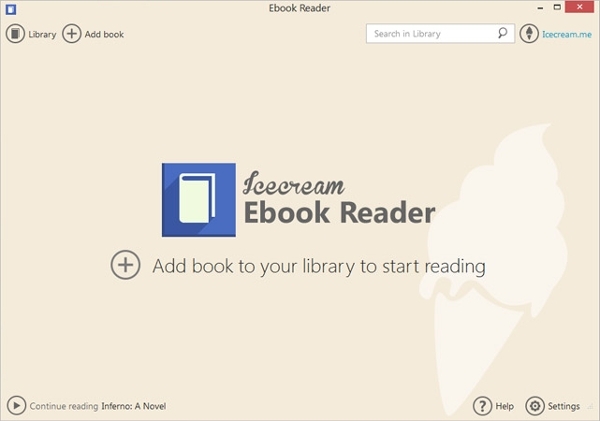 The software is compatible to Windows 10 and easily reads files like MOBI, FB2, PDF, EPUB, etc. The quality of animation is good and you can turn pages and track down reading progress conveniently. There are more digital library management tools available that intelligently manage eBook library and also have other added salient features that makes them even more popular. 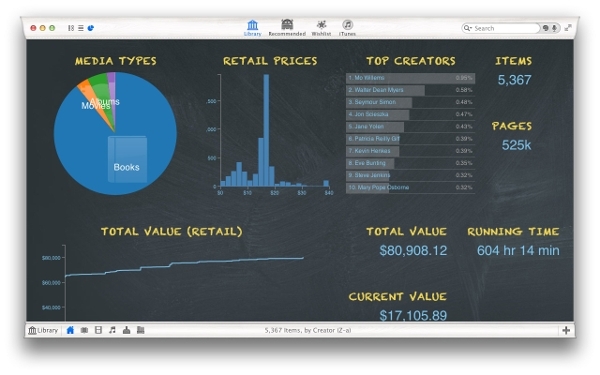 The colourful and iconic user interface makes them adorable to use. Few popular names are compatible with all operating systems while some are specifically designed for a particular platform. Kindle is the best eBook library software windows 7 and other upper and lower versions for managing and reading eBooks. The interface is very intelligently designed to give you a real feel of reading printed books. You can store books in the cloud drives and in the devices. With Kindle you can read eBooks offline too. 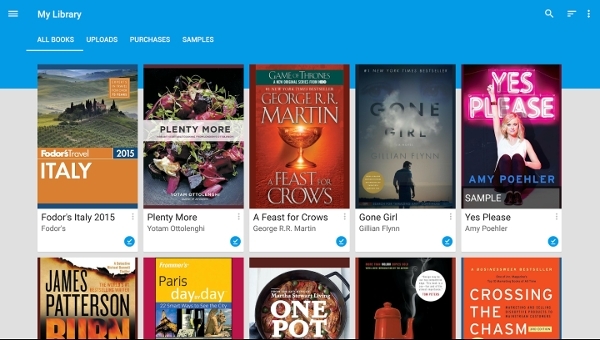 Google Play Books is the best eBook library software for Android smart device users. The interface is very light and has a huge variety and volume of collection of digital prints. The application syncs very well with any type of devices. It has other salient features like you can start reading from where you paused. 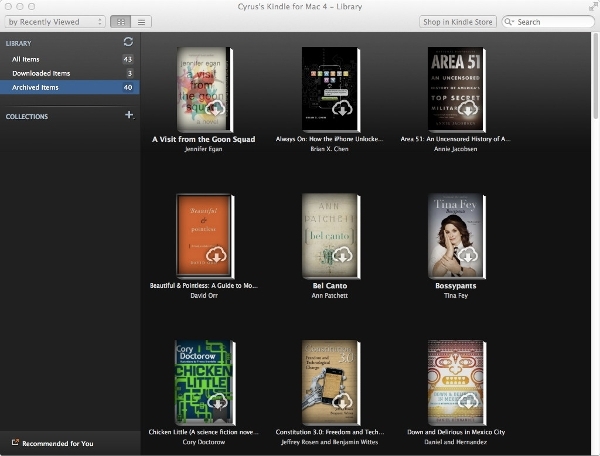 Delicious Library is one of the best free eBook library managing software for Mac. Due to its eminent features like cataloguing books, music, movies, software, tools and even your video games. It is a versatile platform with a great user interface that manages book shelves with webcam, barcode scanners or with keyboards. Other convenient eBook library managers that are compatible with any operating system are Adobe Digital Editions, Lucidor, KooBits, Kobo, VitalSource Bookshelf, eReader Pro, FBReader, Mobipocket Reader, Martview, etc. Most of them are compatible with Windows, Linux and Mac and supports almost every type of eBook files. Please check the compatibility and features by visiting the eBook library software free download links. Calibre is considered to be one of the most preferred eBook library free software used by the readers that can manage, convert, sync and edit eBooks very efficiently. It is also capable to download news from web in eBook format and allows cloud server to upload the eBooks for online access. Calibre is the most popular in its genre. The lightweight design and interactive user interface with versatile features make it the best choice for the eBook readers. It can sync, convert, manage and edit eBook formats. It has cloud storage property and also shows news in eBook format automatically. The software easily complies with any type of eBook reading device. What is eBook Library Software? The software that enables a user to manage the collection of eBooks as per various parameters like Title, date added, author, size, published date, series, ratings etc for the convenience of finding a particular digital file is called eBook Library Software. These softwares also allow a user to convert the files into readable format and fit the reading devices. Some software also has online storage facilities in cloud drives and allows a user to read the books offline. There are few types of software that allow editing the eBooks formats. 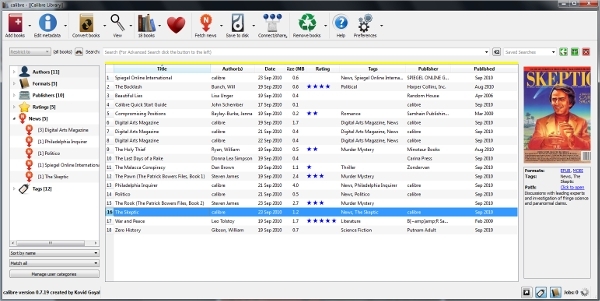 The library manager also displays content table and bookmarks and enables a user to search, copy and print a particular content. How to Install eBook Library Software? After downloading the installation file, click on the setup icon. The installation wizard will initiate the process and guide you in every step. It will ask you for the choice of location to store the installed files of the software. After completion the library manager is ready to use. Cloud based library softwares do not need any installation as they can be used online. You cannot carry all your books conveniently anywhere you want. This software is bliss for the bookworms who travels with a lot of books and even sleep with them. The digital library, properly managed and maintained, can be carried everywhere as the devices can go with you. The advent of eBooks has sealed the fate of printed ones. It does not demand any huge space in a room and can be stored in cloud drives too. Get instant updates and news about your favorite eBooks. In fact buying a book from e-library is also easy and you do not have to worry about lost pages.